The primary challenge of project management is to achieve all of the project goals within the given constraints. This information is usually described in project documentation, created at the beginning of the development process. The primary constraints are scope, time, quality and budget. The secondary – and more ambitious – challenge is to optimize the allocation of necessary inputs and apply them to meet pre-defined objectives. The object of project management is to produce a complete project which complies with the client's objectives. 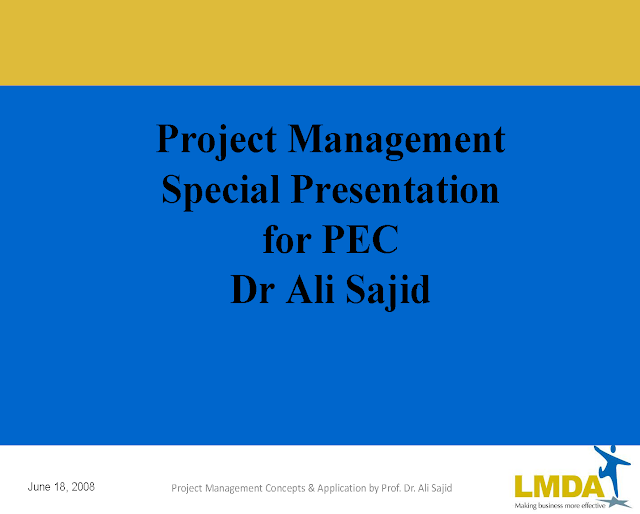 In many cases, the object of project management is also to shape or reform the client's brief in order to feasibly be able to address the client's objectives. Once the client's objectives are clearly established they should influence all decisions made by other people involved in the project – for example, project managers, designers, contractors, and sub-contractors. Ill-defined or too tightly prescribed project management objectives are detrimental to decision making.